It is good to give thanks to the Lord, to sing praises to your name, O Most High; to declare your steadfast love in the morning, and your faithfulness by night … For you, O Lord, have made me glad by your work. These words from the Psalter express a truth that’s not apparent sometimes: It’s always the right time to give thanks to God. A glance around your room, a reflection on your life, can make plain God’s provision down through the years. Everything that has breath has a reason to give thanks to God any day of the week. Giving thanks doesn’t mean that everything is a blessing. But we can offer thanks and praise in the bleakest of times because we serve a God who can turn a situation around, “make a way out of no way,” even raise the dead. Ms. Fofanah does not give thanks for the Ebola crisis—but she gives thanks to God. “Oh, I know there’s hope because of the grace of the God we serve,” she said. “Now is the emergency period, but we know that day will come, like after the war, that we will overcome. Keep us in prayer.” United Methodist Women gave a grant to Sierra Leone sisters for their work with Ebola orphans, Indiana United Methodist Women gave a grant for crisis work in that country, and Sierra Leone United Methodist Women purchased and delivered rice to families, including those in quarantined areas, as part of The United Methodist Church response to the epidemic. 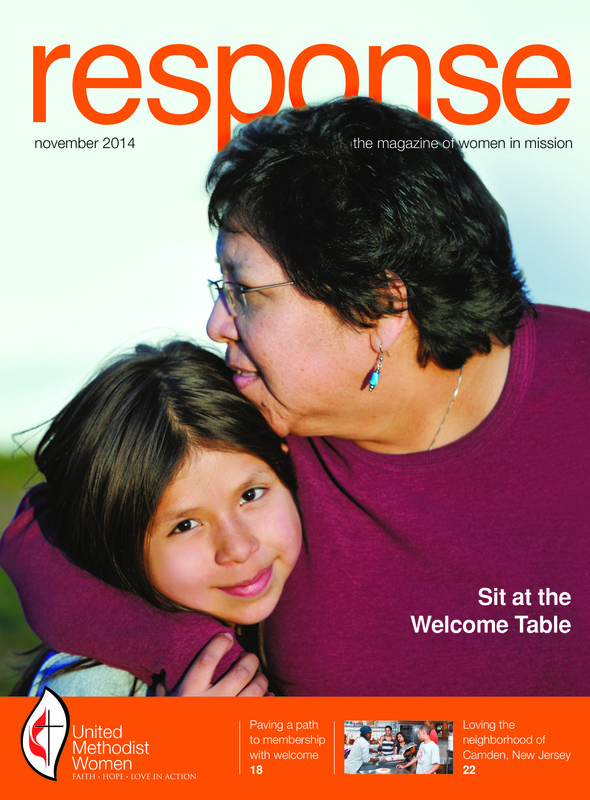 As you read this Thanksgiving season issue of response, give thanks to God with your faith, hope and love in action. This entry was posted in From the Editor, News. Bookmark the permalink.